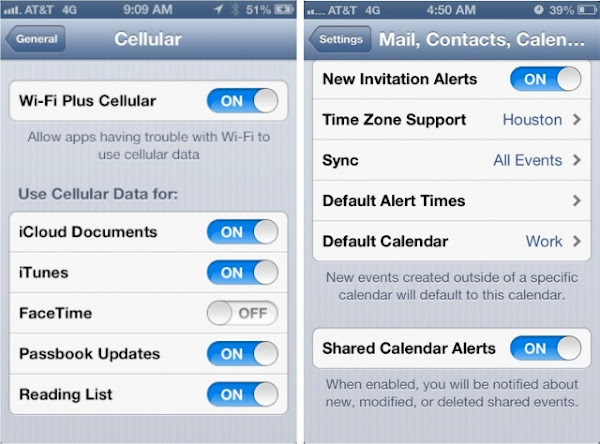 A new feature has coming to iOS 6 has been enabled in iOS 6 beta 4. The new enabled feature is WiFi Plus Cellular which allows you to use cellular data like 3G, 4G instead of WiFi. The WiFi Plus Cellular option currently allows the use of cellular data instead of WiFi for iCloud documents, iTunes, FaceTime, Passbook Updates, and Reading List. Some carriers like AT&T will not be happy if you use FaceTime over your cellular data, they are still thinking how much they will charge you to use this feature. Sprint already confirmed that they will not charge users to use this feature over their cellular data.